For the Quality Service You Deserve! "Immaculately Clean INSIDE & OUT!!" 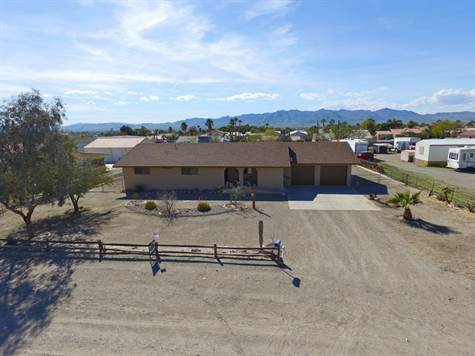 Lovely, WELL CARED for home in Fort Mohave! This home is immaculately clean inside and out! The spacious floor plan offers 3 bedrooms, 2 baths, large living room, casual dining and an interior utility room with fresh interior paint. Beautiful mountain views surround this home and you can comfortably enjoy sunrises and sunsets from the rear extended, covered patio. Plenty of room for parking RV's, boats, or other vehicles. Home is centrally located in Fort Mohave and just a few minutes away from the new Walmart Center, Avi Casino and River Access. Must see to appreciate! !